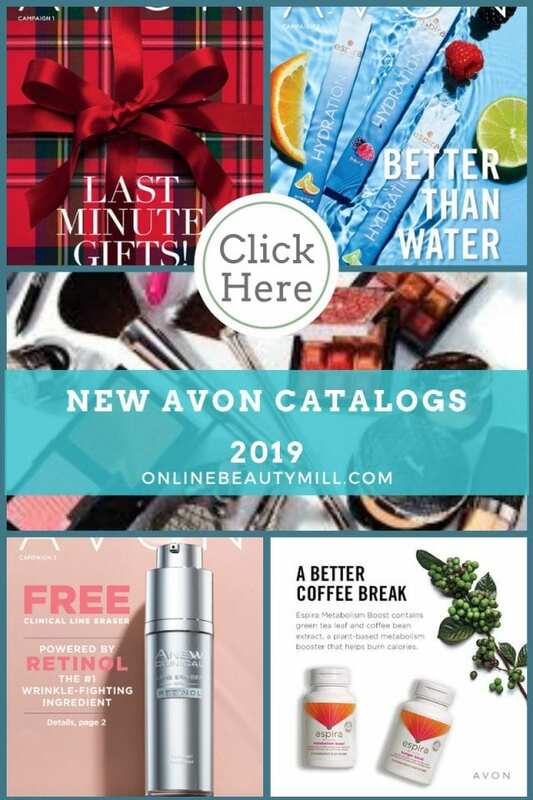 There are two ways you can shop for Avon – the Avon online brochure or by entering the product number directly into Avon’s website order page. Many people use the online catalog to order their Avon products these days for a couple of reasons. It’s more convenient. Shop 24/7! 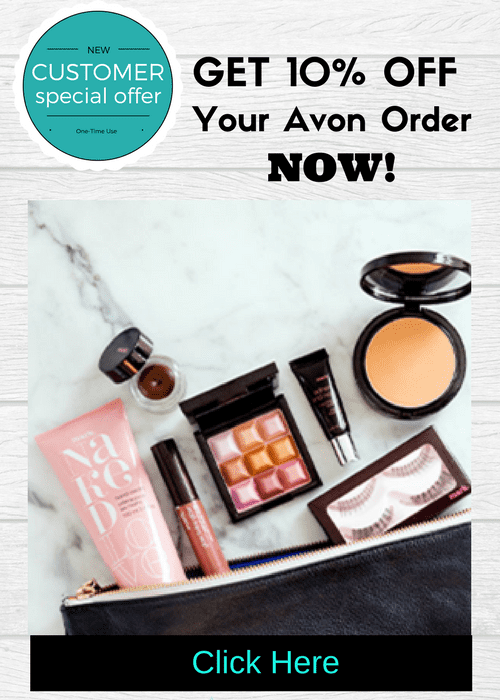 Avon ships your order directly to you so your products arrive faster than having a Avon rep deliver the order. It’s quite easy to shop by flipping through the online brochure pages. Just find the product you want and click on the image, then choose the proper item number according to the color or size if needed. Then just add it to your order cart. 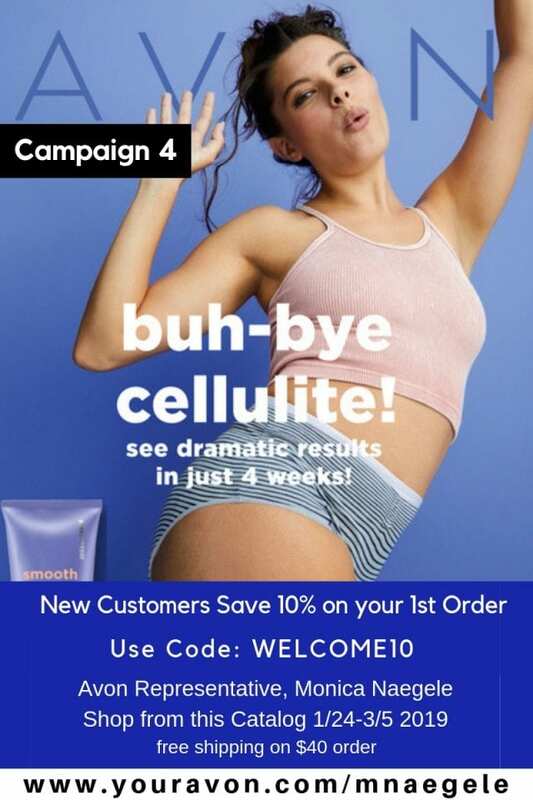 However, Avon’s website will only allow customers to order products from the most current Avon brochure that’s posted online. This is perfect way to shop if you do not have any of the previous brochures and solely rely on what you see in the current brochure. 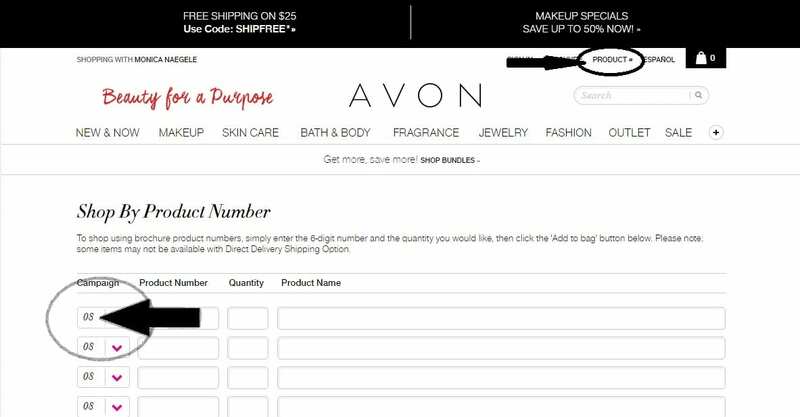 One of the best ways to get the lowest prices on Avon products is to use the Shop by Product Number method. 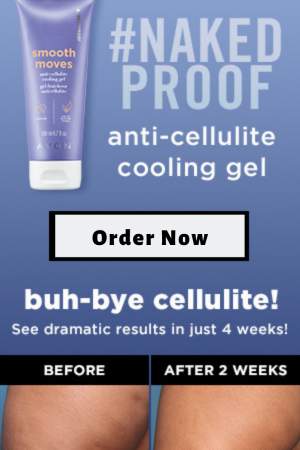 There is a small link on the upper right-hand corner of the Avon website (see image below) that says “Product #”. When you click on that link you will be directed to the Shop by Product Number page. If you already have an Avon brochure on hand, you can enter the product number directly into the worksheet. You will also have to choose the Campaign Number in order to guarantee that you get the price listed in that brochure. The campaign number is listed on the front cover of your Avon brochure and on the back cover of the Avon brochure. When you click on the drop-down box of the campaign number column you will also see the current campaign number and the two previous campaign numbers. 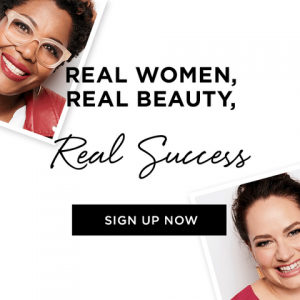 Avon allows customers to backorder products for the last two campaigns! Simply add the items to your cart and you will be able to see the special offers and prices before you check out. Now to save even more you can also check if a coupon code is available for additional savings. 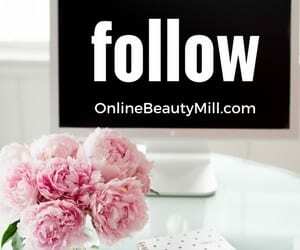 These are great tips for all online customers to use when buying Avon online. I’m sure you will want to bookmark the Shop by Product Number link for easy access next time you shop.